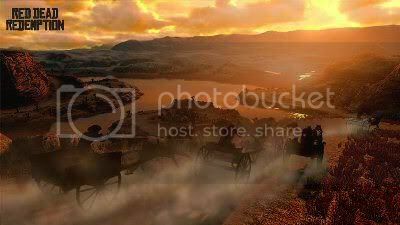 by PaulEMoz in "John Marston", "Red Dead Redemption", "Rockstar Games", "Spaghetti Western"
From the minute I first heard about Red Dead Redemption, I knew I would love it. What I wasn't prepared for was the way in which I would love it. I played Red Dead Revolver a fair bit when it was originally released, and although I found it a little on the tough side, I still really enjoyed it. It was fairly strictly set up, having you play through a level at a time, but it had a lot of the feel and spirit of the likes of the classic Spaghetti Westerns. Hmmm. Where next, I wonder? 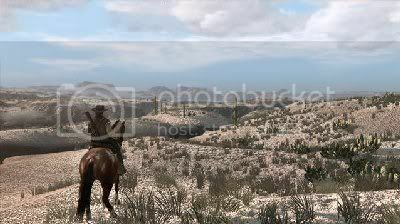 Red Dead Redemption got rid of some of that linearity by putting you in an open world. And what a world! For the first few days, there was no greater joy than sitting on my horse, slowly wandering along a mountain trail at sun-up. I wasn't even that bothered about playing the game in terms of following the storyline... 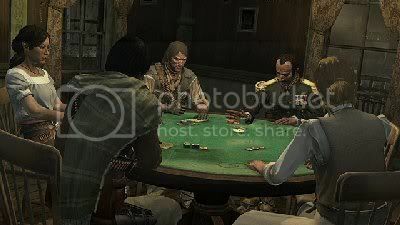 I was quite happy to wander into town and have a late-night poker game with the boys. 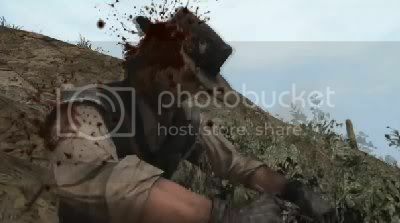 And they really did feel like "the boys"... where Red Dead Redemption excels is with its characters. You get to spend a fair bit of time with some of the characters in this game, and it's done so well that you feel a true affinity with some of them. Good writing, good voice acting... all very important parts of setting up a game like this that are so often overlooked. Don't you hate it when you just miss the bus? Of course, you do need a good game to go with it, and obviously this is a very good game. There's a lot to do here as you shepherd John Marston along his path of inevitable destiny. If you wander the land, and you really should wander the land, you'll encounter all kinds of strangers with their own stories that need to be resolved. Some of them are fairly straightforward, some are weird... some are downright hilarious. They're all jobs worth seeing through to the end. Ohhh, man... I wish I'd remembered my sandwiches this morning. If you're not in any mood for the indigenous townsfolk, then you can always go a-huntin' or a flower-pickin'. Say what? Yes, Marston is something of an enigma, in that he'll happily catalogue every species of flower in the game. There are rewards for such actions though... similarly for the gathering of dead animals. It adds a bit of purpose to your freestyle wand'rin'. That's the real joy, for me... you can play the game at whatever pace you like. You're not rushed breathlessly from one story point to another... you're given license to wander around, taking in the sights, doing a bit of hunting should you wish, playing card games if you wish, or actually doing nothing, if you wish. When you're ready to move on, you can trigger the next event at your leisure. This is both a plus and a minus... it made it too easy for me to push the game aside and look at other games. That's the only reason it's "only" at number three for me. Red Dead Redemption is a stunning game, stunning in every way. You really do get wrapped up in Marston's tale. I've hopped back into it now after re-visiting it to write about it, and I'm really looking forward to finishing the story.